Offering you a complete choice of products which include yarn dyeing machines, yarn dyeing machine 50 kg and yarn dyeing machine 30 kg. We are engaged in manufacturing, supplying of HTHP Yarn Dyeing Machine / HTHP Yarn Dyeing Yarn Machine 100 kg is used for dyeing yarn at high temperature and high pressure. Our expert technicians ensure that it is manufactured using fine grade material, procured from the most authentic vendors of the industry. he body of the machine is fabricated using high grade stainless steel in order to assure durability and resistance to corrosion. We fabricate these machines using premium quality raw material that is procured from the most credible vendors of the industry. We are looking for Indian queries. 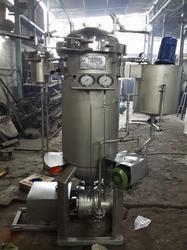 Package Yarn Dyeing Machine 50kg for cones or hanks. 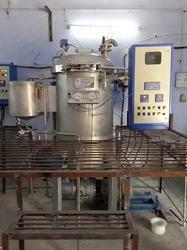 The dyeing machine is used for dyeing yarn at high temperature and high pressure. Our expert technicians ensure that it is manufactured using fine grade material, procured from the most authentic vendors of the industry. he body of the machine is fabricated using high grade stainless steel in order to assure durability and resistance to corrosion. We fabricate these machines using premium quality raw material that is procured from the most credible vendors of the industry. 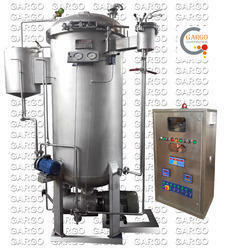 HTHP Yarn Dyeing Machine / Package Dyeing Machine 30kg. The hthp dyeing machine is used for dyeing yarn at high temperature and high pressure. Our expert technicians ensure that it is manufactured using fine grade material, procured from the most authentic vendors of the industry. he body of the machine is fabricated using high grade stainless steel in order to assure durability and resistance to corrosion. We fabricate these machines using premium quality raw material that is procured from the most credible vendors of the industry.